Here’s a sample briefing document that I actually used for my team of beta readers on one of my books. Don’t just “copy it”, but see what ideas it triggers for how to brief your beta reader team. You will want to cover your own manuscript issues, and write in your own style and tone. 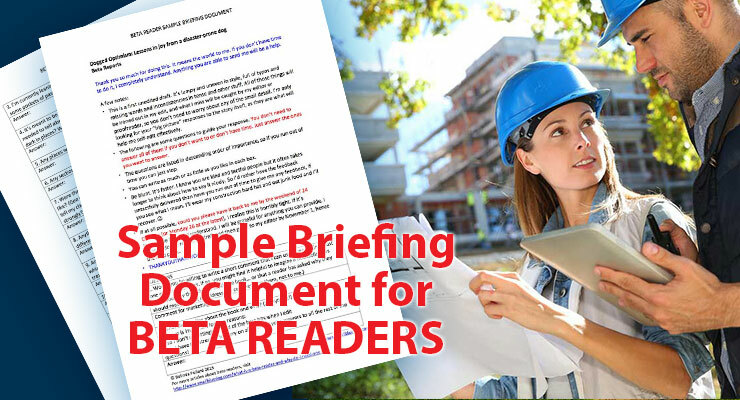 Think about how a briefing document could help your beta readers to give you the information you need. What are the main questions you want answered? I find it works best to have a smallish set of questions. The download is a PDF, but when I sent it to my beta readers it was a Word document so that they could type in the answer spaces. Enter your email address below to download it immediately.